Finish your bachelor’s degree in just six quarters in a close-knit community. 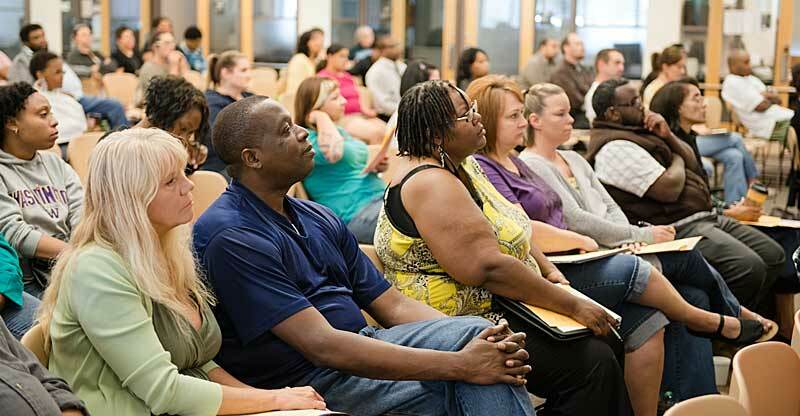 Evergreen’s Tacoma Program offers convenience, flexibility, and diversity. Enter to learn, depart to serve. 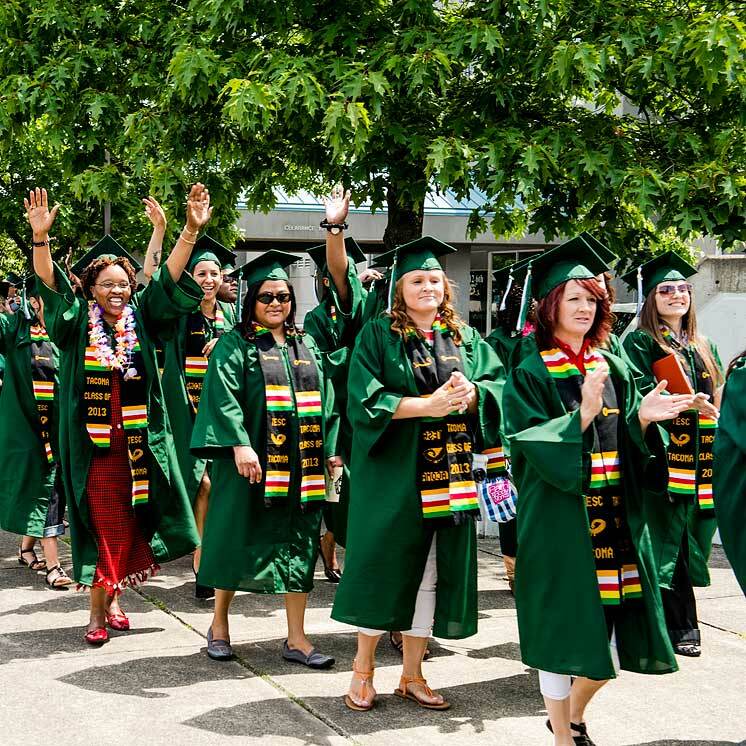 The Tacoma Program of The Evergreen State College is a full-time course of study for students who have already completed at least 90 transferable credits. Students who complete the program receive a bachelor’s degree. All students attend full time, but you have the option of either day or evening classes. You can get started in the fall, winter, or spring quarter. Give the program a try and register as a special student for the summer. Find out how Evergreen's Tacoma Program can help you meet your goals. Visit the campus, learn how our classes are different, or contact us for more information. Evergreen Tacoma appealed to me because of the community feeling. I loved the liberal arts piece. I wanted to be part of the Evergreen family. The Master in Teaching cohort for 2017–19 will be at Tacoma. Applications accepted now through June 25. Learn more about Evergreen's MiT program or start your application. 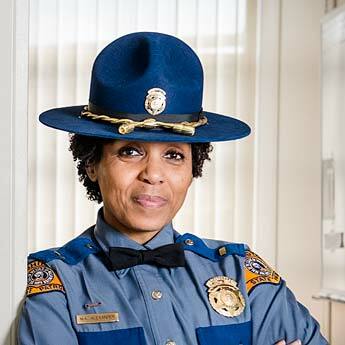 Starting Fall 2018, the Master of Public Administration will offer selected elective course in Tacoma. Learn more about what MPA courses will be available. Find out how to apply and get started today! Give to the Evergreen Tacoma Annual Fund now.